Zen-Borg represents the artistic output of my thesis research in biofeedback music. 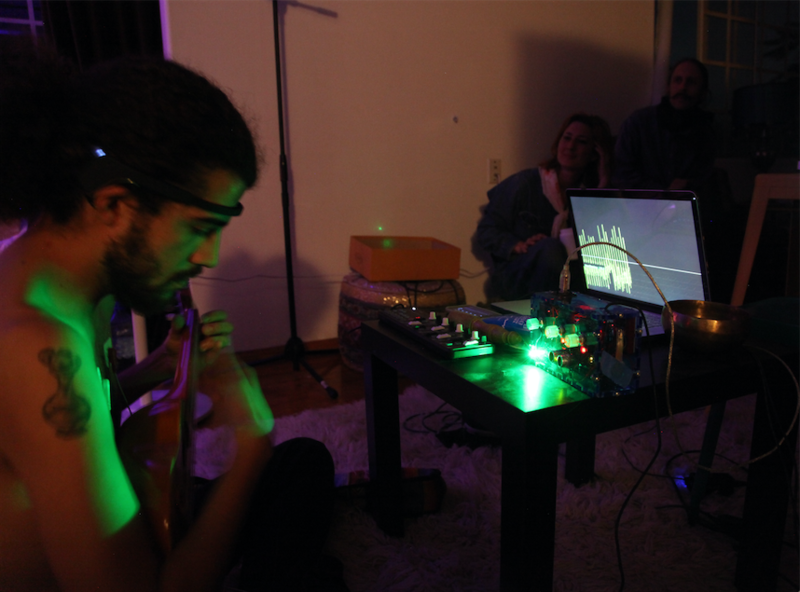 It consists in a set of live performances that are intended to be performed with the conjunction of EEG, EKG and human performance. It represents an approach to live audio/visual performance in which the performer is composer at the same time and its live output is influenced by the environment in which they are performing. The performer connects both the EKG and EEG detectors to their body in order to integrate them into the live performance. 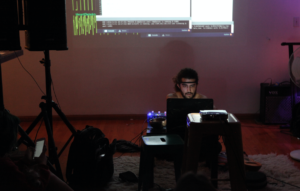 Once the performer is wearing the biofeedback devices the data coming from the devices is received in the main computer that then processes all the information into audio/visual stimulus. In order to break the imposed, scientific concept that our brain is the master clock and the heart is a slave to it, this particular biofeedback system works the other way around. The heart is in control of the whole biofeedback system; this means that whatever behavior is controlled by the brainwaves it’s also being affected by the master tempo or rhythm given by the heart beat. Cyborg then, represents also the expression of my current reality: The heart condition that I was born with led to two heart surgeries, and set up the base for a lifetime interaction with biofeedback devices, particularly EKG.